Since 2007, Malta’s quality wines are subject to an appellation system controlled by the national regulator in accordance with EU law which nowadays categorises wines in two rungs, namely PDO (protected designation of origin) and PGI (protected geographical indication), replacing the QWPSR (quality wine produced in a specified region) framework. Each EU country may use its own corresponding terminology and respective abbreviations for PDO and PGI, and then further outline domestic production and marketing guidelines for both general categories. As such Maltese winemakers are allowed to print DOK, short for Denominazzjoni ta’ Oriġini Kontrollata, or IĠT, in full Indikazzjoni Ġeografika Tipika, on their labels that pass official accreditation standards. Combined with the name of the delimited region where the grapes for the wine were grown, these three words or letters make up what is known as a wine’s ‘appellation’. There are three appellations in Malta. DOK Malta for wines made from grapes coming only from the main island itself and DOK Gozo for those that are vinified from bunches harvested in Gozo. The broader appellation IĠT Maltese Islands is reserved for those wines made from grapes which may originate from either Malta or Gozo or both islands. Each one is a geographical area as legally defined by the Ministry for Sustainable Development, the Environment and Climate Change that, through the Parliamentary Secretariat for Agriculture, Fisheries and Animal Rights, makes vignerons and winemakers follow protocols. These are official rulebooks with technical restrictions covering vineyard management, winemaking techniques and aspects of marketing. All DOK and IĠT certified wines have to go through independent analytical analysis and adjudication before certification is finally given. The grapes for DOK wines will have had higher natural alcohol potential and come from authorised vines with lower yields than wines falling under IĠT status for which the rules are generally less stringent. As of 2012, the designation ‘Wine of Malta’ or ‘Produce of Malta’ has replaced the former category of ‘Table Wine’. It is a designation in addition to the PDO or DOK Malta and DOK Gozo and PGI or IĠT Maltese Islands types. These wines can still offer good value for money and are also made from grapes grown in Malta and Gozo. The appellation system has led to a new framing of the Maltese wine sector fostering a vivid search for excellence that begins in the vineyard. 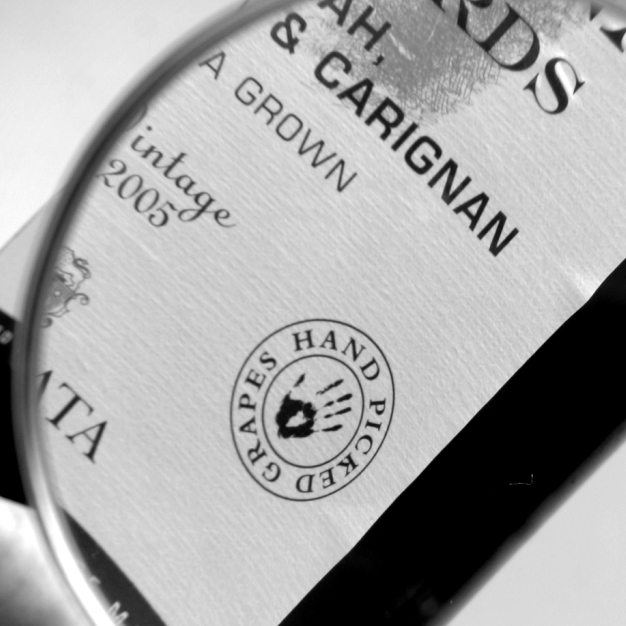 It authenticates the origin of the grapes and that the wine is made using recognised know-how. Certification has been in place for 10 years now. It protects wineries from misappropriation, makes the country’s wines more competitive and helps customers choose a genuine bottle of Maltese wine. The real McCoy is easy to spot thanks to a banderol affixed to the bottle, an obligatory requirement since the 2009 vintage. This little glued-on paper streamer with DOK Malta, DOK Gozo or IĠT Maltese Islands printed on it serves as a security seal of authenticity assurance. It functions like a certificate of trustworthiness similar to, for example, the necktie stuck to bottles of Italy’s DOCG wines or the seal issued by the Wine and Spirit Board in South Africa and not unlike Germany’s AP (Amtliche Prüfungsnummer) number. But it must be said that the quality of the wine also depends on Mother Nature nurturing the vintage. And, a bottle’s likeability of course also hinges on the skills and passion of the winemaker whose name ultimately remains your assurance of drinking pleasure. This article first appeared in Times of Malta on 8 December 2017.